We are a Christ centred community that lives out the Good News of Jesus Christ. We are committed to nurturing the whole person: spiritually, morally, physically, emotionally and intellectually by providing an opportunity to integrate faith and life fully. We aim to create a supportive and challenging environment for individuals to learn, to achieve their potential and to experience personal success on their journey of learning, which is celebrated in partnership with parents. We will provide an environment that fosters the desire to learn and values life long learners. We understand that we develop learners who are open-minded, self-motivated, questioners and who are willing to take risks. 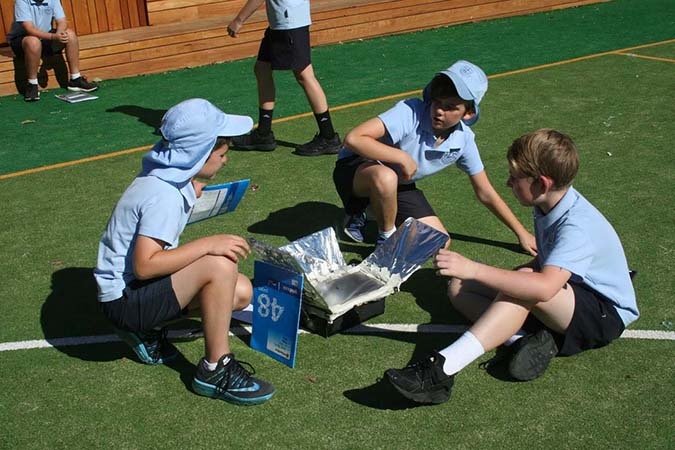 We encourage all students to know how to learn, reflect, apply and critically evaluate their learning. We believe in living out the Gospel Values, fostering a community that thinks globally, embracing all members of the community, and develops a social conscience. Individuals are encouraged to become active, socially responsible members of society. 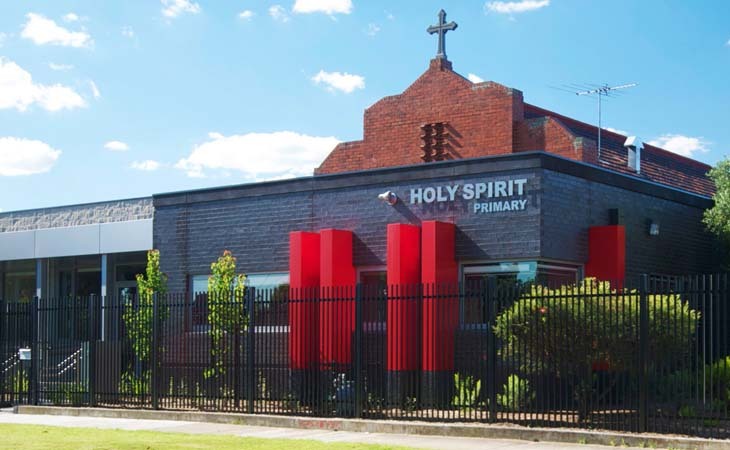 Holy Spirit is located in the suburb of East Thornbury, in Melbourne’s inner-North. 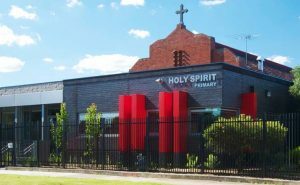 The Holy Spirit community is characterised by its commitment to a personalised approach to education, strong student wellbeing focus, healthy home-school partnerships, and active social justice program. 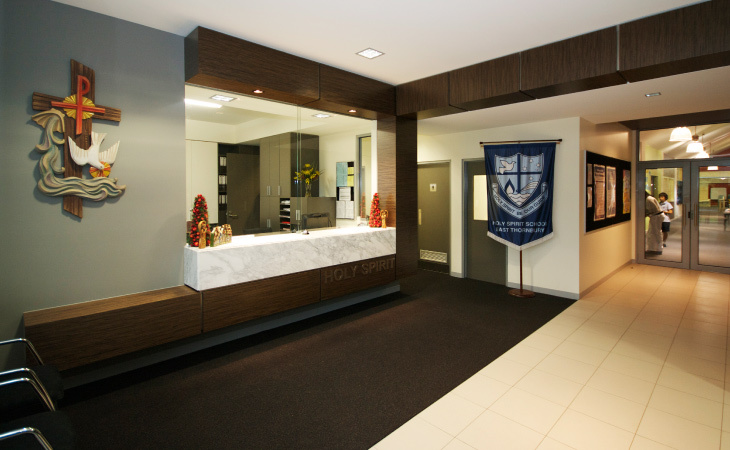 The school was renovated and refurbished in 2010 providing us with bright, contemporary learning spaces allowing us to educate students for the 21st Century. Redevelopment of the school grounds is continuing with input from the students and parents. The Parish Priest, Fr Adam Babinski, and our Principal, Rob Costin, lead the school community. The Holy Spirit Education Board acts in a advisory capacity to the Principal and Parish Priest. The school community is well supported by the Holy Spirit Parents Association. 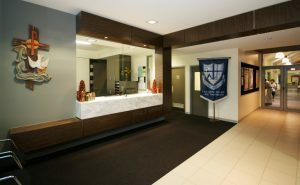 The school enjoys steady enrolment numbers and enrolment places are in demand each year. Current enrolment stands at just over 236. Fr Gus Vaughn, the Parish Priest at Thornbury, acquired land in the eastern sector of St Mary’s Parish and after some time established a Mass centre and built the original Church/School. Fr John Brace was appointed in 1953 as the first Parish Priest of Holy Spirit. The Sisters of the Good Samaritan came to East Thornbury at the invitation of Fr Vaughn to establish the Parish Primary School, which opened on February 3rd 1953. Many children came from the overcrowded classrooms of St Mary’s, Thornbury. The First Principal was Sr Marcellina Jones. As this was a church/school the children sat on the kneelers of the church and put their books on the seats. Equipment was scarce. The Good Samaritan Sisters’ twenty–nine year commitment to the Parish has been seen primarily through their work in Holy Spirit School. The intervening years have seen the school grow and change. The building of the church in 1954 and extensions, alterations and redevelopments have seen the school and church buildings change to meet the needs of the 21st century. Over time Holy Spirit parish school developed its own identity and became an integral part of the parish community. It has a well-established reputation in the area. This is reflected in its strong enrolments and its very active and committed parent body. The gates are opened to admit parents and students. The bell is rung at 8:50 and, after a morning prayer, complete organisational matters. Recess is from 11:00- 11:30. Lunch is from 1:30- 2:30 (10 minutes of this is for eating of lunch in class). The end of day is at 3:30. The playground is then supervised for 15 minutes after the final bell.